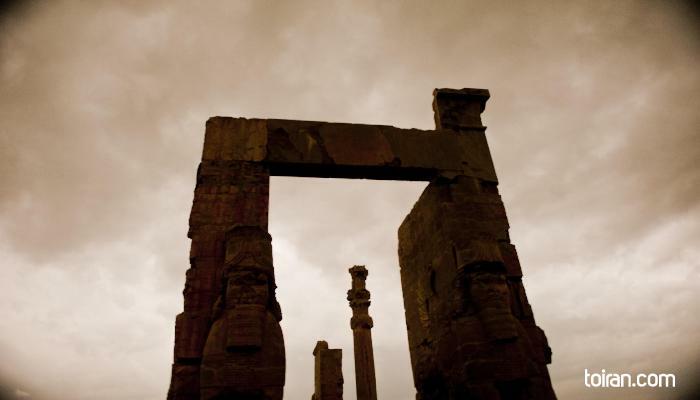 One of the main attractions of Persepolis is the "Gate of All Nations," which was where all visitors had to pass through on their way to the Throne Hall to pay homage to the reigning Achaemenid king. Gift-bearing Bactrian, Babylonian, Phoenician, Ethiopian, Indian and Arachosian delegations entered a grand hall with four columns through this gate and sat on black marble benches to wait their turn to see the king. 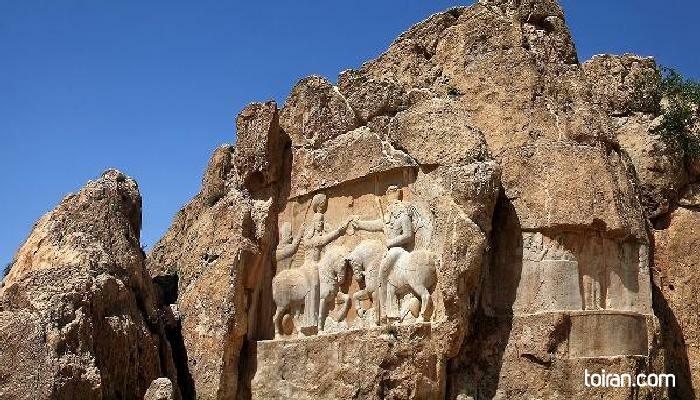 Its western entrance was guarded by a pair of bulls and the eastern one by two Lamassi (winged lions with human heads). The Hall of Hundred Columns, which spanned an area of 4,600 square meters, was built by Xerexes and completed by his son Artaxerxes I (? 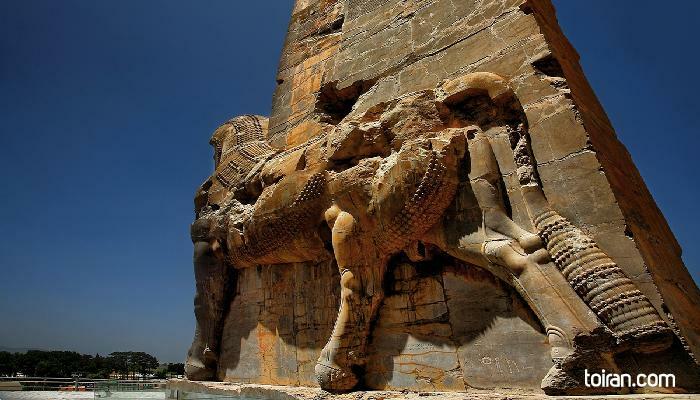 ?- 424 BC) and had eight stone doorways and black marble columns with double-headed bull capitals. 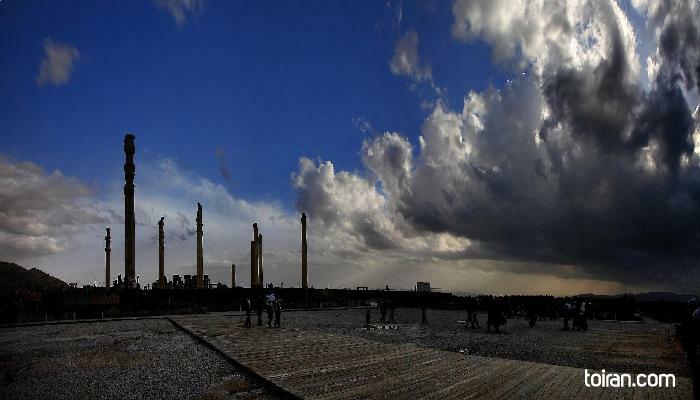 The Royal Audience Hall or Apadana Palace was built as the most glorious of Persepolis palaces by Darius the Great. 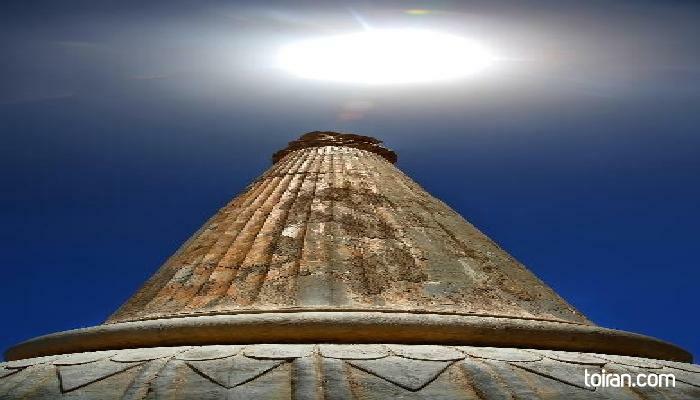 Apadana once had seventy-two 20-meter-high columns, 13 of which still stand today. 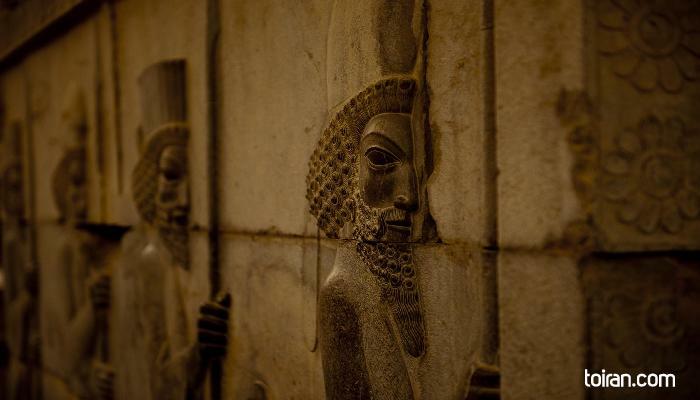 A relief at Apadana depicts men believed to have been members of the fearless royal elite guards known as the Immortals, who were a symbol of military strength in the old world. 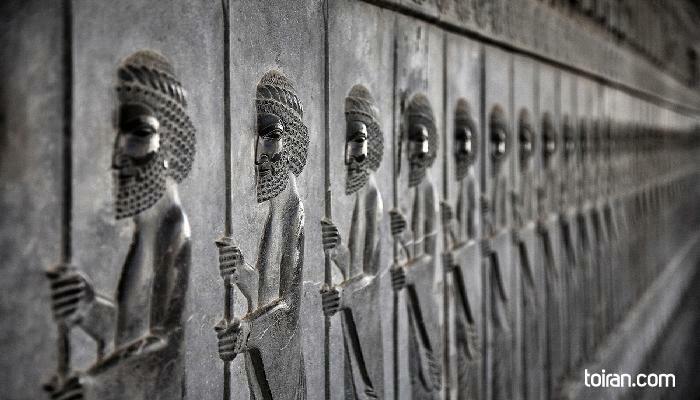 One of the only structures to escape the fire which destroyed Persepolis is Tachara Palace or Hall of Mirrors. 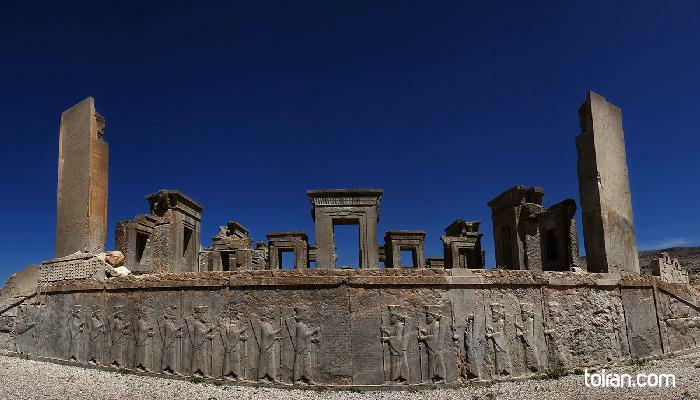 Built as the private quarters of Darius, Tachara was once covered with polished stones that reflected images when sunlight shone through its windows. 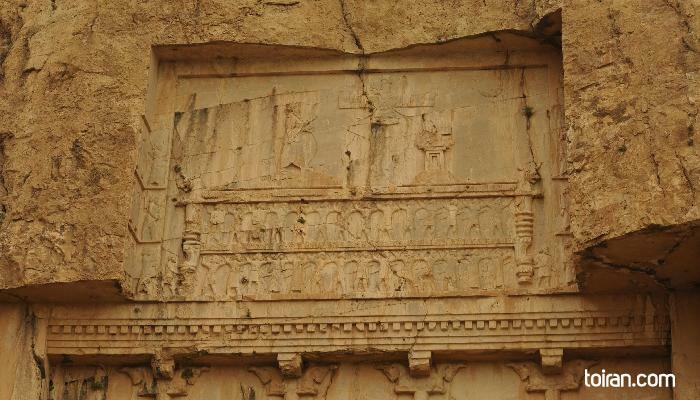 The ruins of Tachara have reliefs depicting dignitaries bearing gifts for the Achaemenid King. 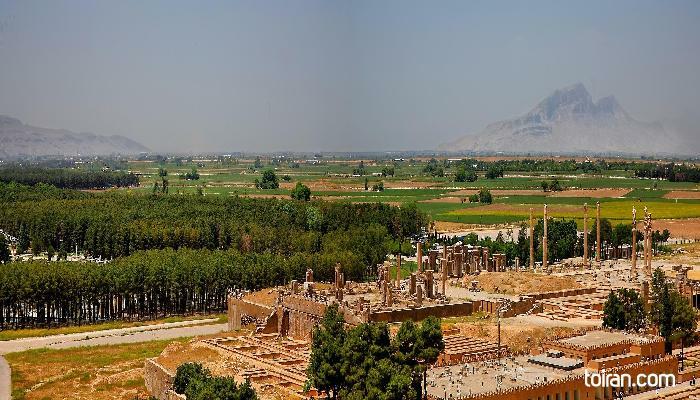 Hadish Palace, which spanned an area of 2,250 square meters, was the living quarters of Xerxes (519 -466 BC) and is believed to be where the fire that destroyed Persepolis originated. The building is decorated with a Faravahar symbol which is a winged disk with a male upper body and which has become the definitive symbol of Zoroastrianism. Each part of the Faravahar signifies an idea or a philosophy: The male upper body represents the wisdom of age, the hand pointing upwards is a reminder that the path of righteousness is the only one to choose, the hand holding the Zoroastrian covenant ring urges man to hold true to promises, the ring in the center symbolizes the eternity of the universe or the eternal nature of the soul, the two streamers extending outward from the central disc symbolize the choices between good or evil, the three-layered wings symbolize "good thoughts, good words, and good deeds," and the lower part of the Faravahar consists of three parts representing "bad reflection, bad words and bad deeds," which cause misery and misfortune for man. 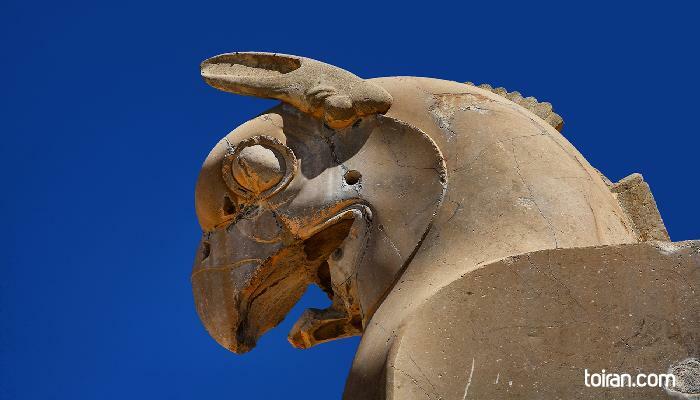 Persepolis is a registered UNESCO World Heritage Site. 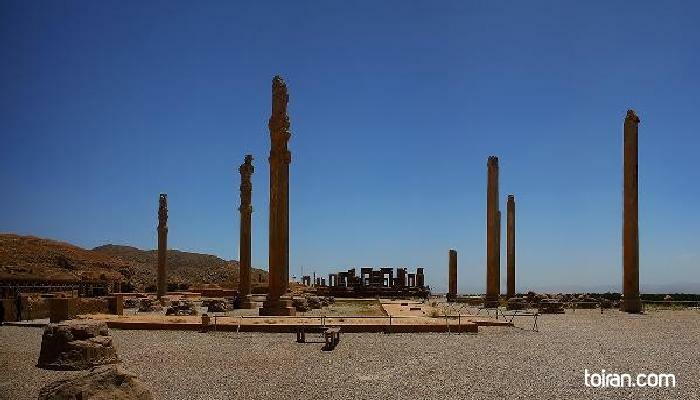 My favorite historical site in Iran is here, for us Iranians this is a holy place and we grew up with the history of this amazing site. From the inscriptions on the walls, you can imagine what was going on here 3000 years ago, it is simply amazing. It is amazing how they lived, it is almost like heaven here. 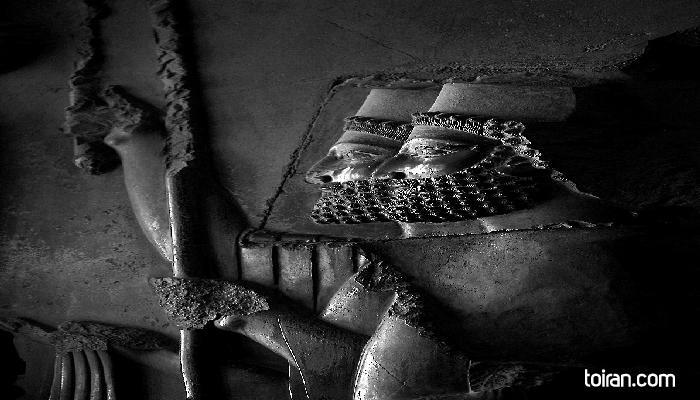 I love the inscriptions of the great Cyrus regarding human rights on the Gate of Nations. Make sure you read about the history of this place before you visit so you can fully enjoy the sites. Beautiful monument and amazing art, you can imagine the glory at that time.